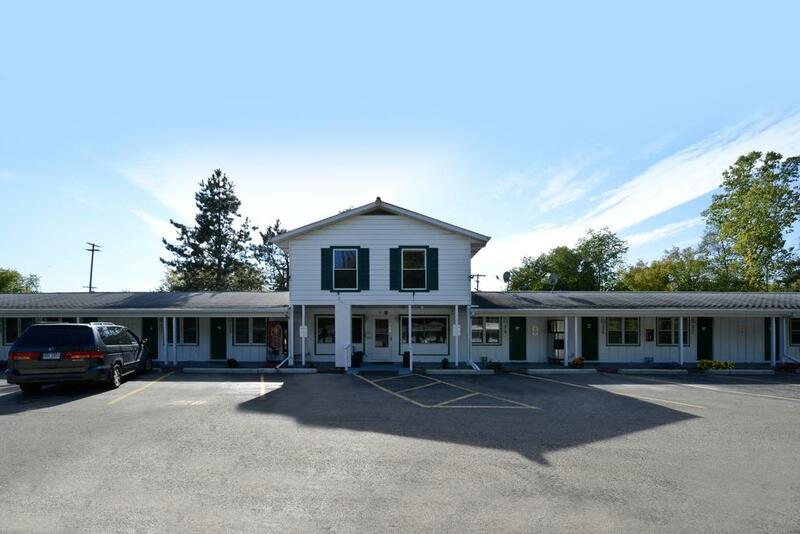 Thanks for your interest in the Americas Best Value Inn, a clean and comfortable hotel in Jonesville, MI where you’ll enjoy staying again and again. We’re near the places in Michigan you want to visit the most, including Coldwater, Hillsdale and Brooklyn. 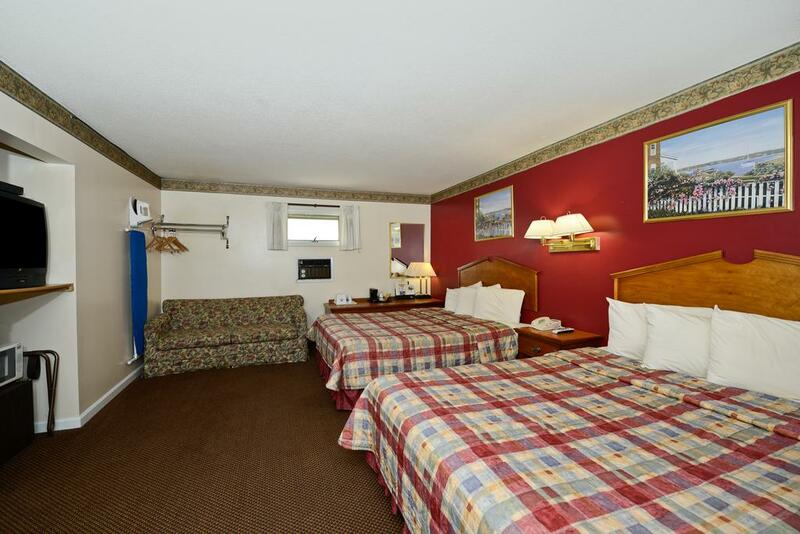 We’re pleased to offer 23 non-smoking rooms available for extended stay as well. All rooms include refrigerators, microwaves, coffeemakers, irons with ironing boards and cable television with premium channels. 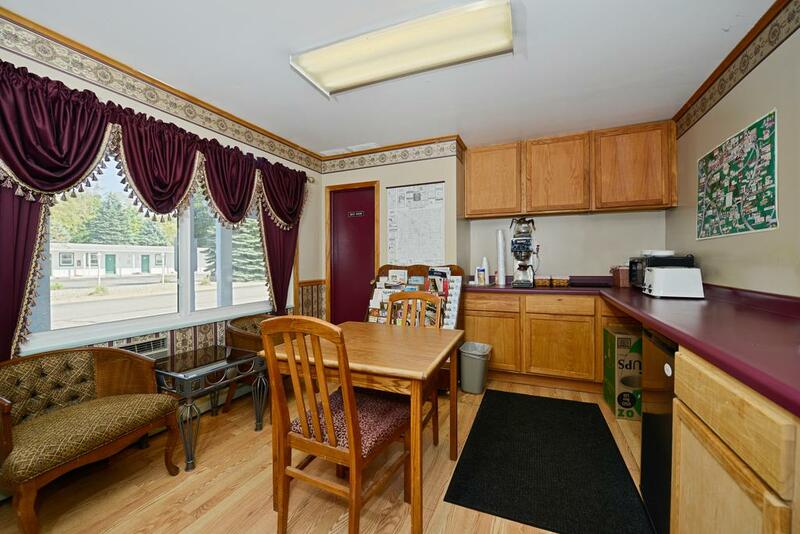 We also offer a nice free continental breakfast and free wifi. Plus, pets are welcome with a small extra charge. 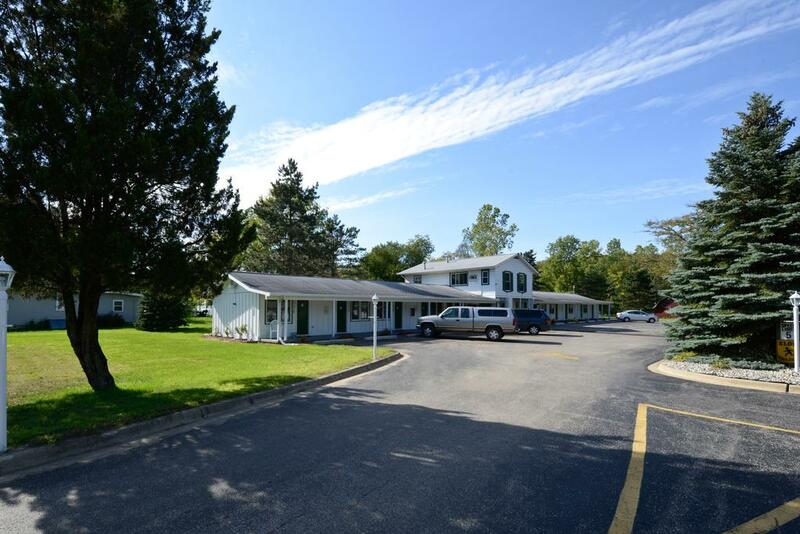 Additional facilities include a picnic and barbecue area that allows you take advantage of good weather and enjoy the opportunity to spend some time outdoors without ever leaving our convenient property. 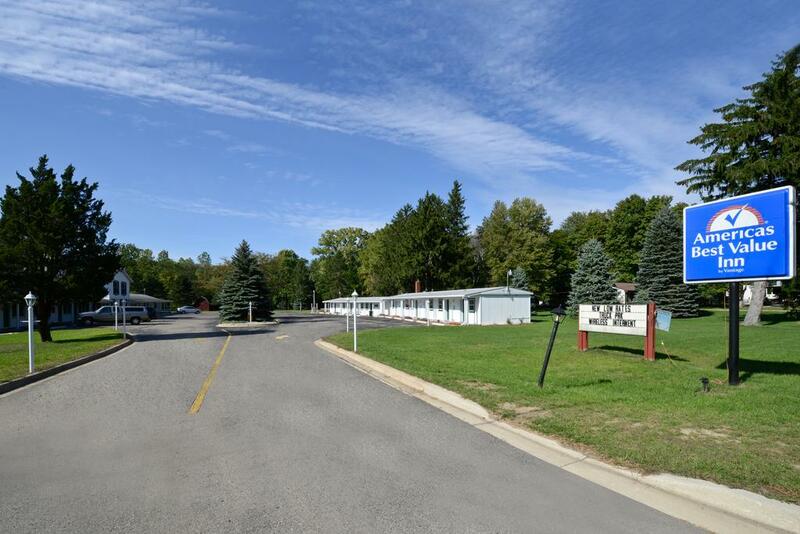 Our local area has so much to offer visitors, including a beautiful downtown and attractions that include the Grosvenor House Museum as well as the Michigan International Speedway and Michigan Space Museum. 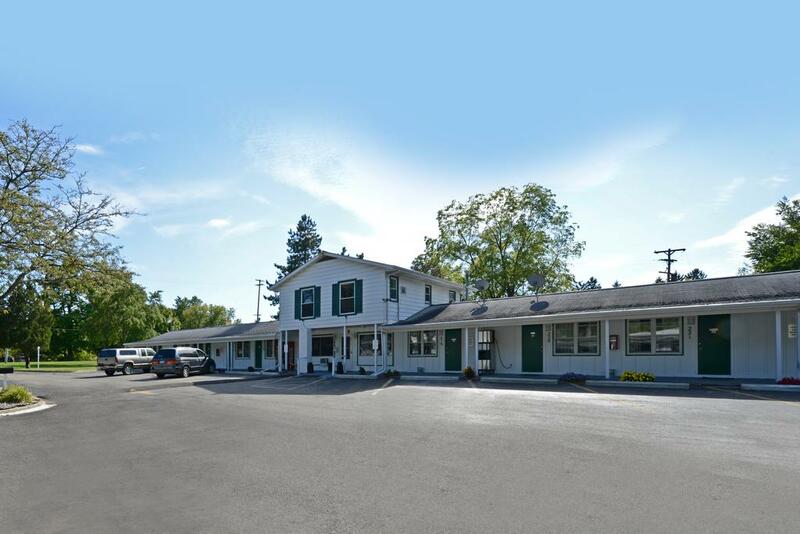 In addition, enjoy golfing and other recreational activities, all only about 3 miles away. You can also visit Hillsdale College, Hillsdale Community Health Center and the University of Michigan, all convenient to our hotel. Many of our guests return again and again because of the professional and friendly service we provide to all guests. 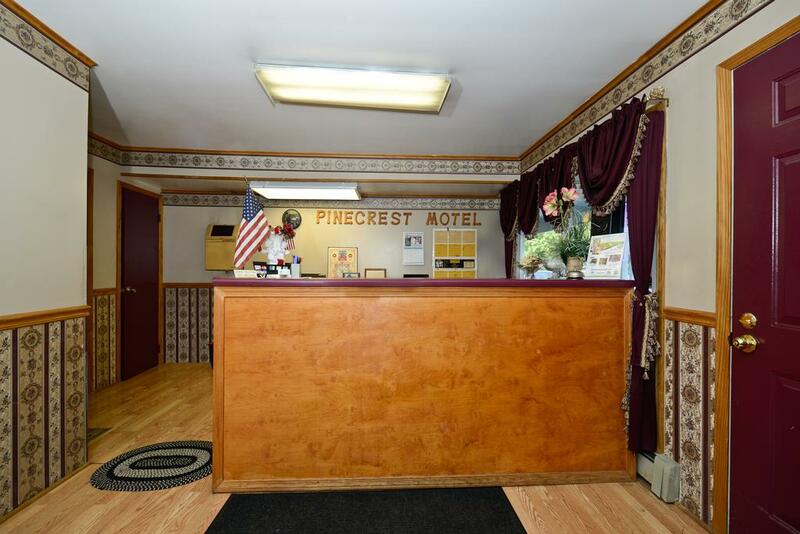 Because we choose only the very best people in the Jonesville area and then train them to the highest possible standard, our guests like you enjoy a level of attention that’s beyond what you normally expect from a value-priced hotel chain. We’re here for our guests at all time working to make sure the experience is the very best in the area. This attention to detail along with our convenient location and the array of amenities that are included in the price of your stay here make us an unmatched value. Why not stay with us soon? Bronner's Christmas Wonderland (stylized Bronner's CHRISTmas Wonderland) is a retail store in Frankenmuth, Michigan that promotes itself as the "World's Largest Christmas Store".Designed with an Alpine architecture and operating year-round, the building is 7.35 acres (29,700 m2) in size with landscaped grounds covering 27 acres (109,000 m2).Outside the entrance are three 17-foot (5 m) tall outdoor Santas and a 15-foot (5 m) tall snowman. Inside, there are approximately 800 animated figurines at various locations throughout the store.Bronner's parking lot can accommodate up to 1,080 cars and 50 buses. 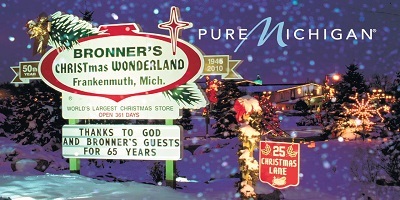 Some 100,000 lights illuminate Bronner's half-mile (800 m) long Christmas Lane in the evening.Michigan designated Bronner's as an "Embassy for Michigan Tourism" in 1976.Bronner's employs over 500 people during the holiday season (between October and Christmas). 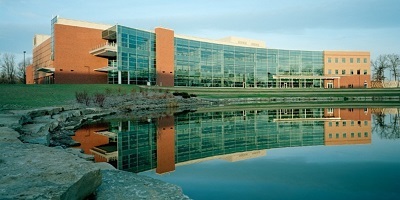 Eastern Michigan University (EMU) is a comprehensive, co-educational public university located in Ypsilanti, Michigan. Ypsilanti is 35 miles west of Detroit and eight miles east of Ann Arbor. The university was founded in 1849 as Michigan State Normal School. Today, the university is governed by an eight-member Board of Regents whose members are appointed by the Governor of Michigan for eight-year terms. The school belongs to the Mid-American Conference and is accredited by the Higher Learning Commission of the North Central Association of Colleges and Schools. Since 1991 EMU athletics has gone by the name "Eagles". Then in 1994, "Swoop" was officially adopted by the university as the school's mascot. Currently, EMU comprises seven colleges and schools College of Arts and Sciences, College of Business, College of Education, College of Health and Human Services, College of Technology, an Honors College, and a Graduate School. The university's site is composed of an academic and athletic campus spread across 800 acres (3.2 km2), with over 120 buildings. EMU has a total enrollment of more than 23,000 students. The E. O. Grosvenor House, also known as the Gamble House, is located at 211 Maumee Street in Jonesville, Michigan. 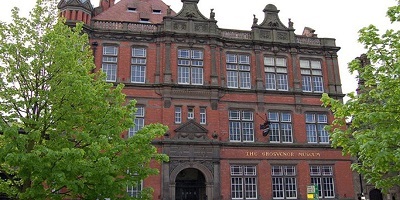 It was built as a private home for Ebenezer O. Grosvenor, and now operates as the Grosvenor House Museum. It was designated a Michigan State Historic Site and listed on the National Register of Historic Places in 1977. It is considered one of the most magnificent residences in Michigan. Michigan International Speedway (MIS) is a two-mile moderate-banked D-shaped speedway located off U.S. Highway 12 on more than 1,400 acres approximately four-mile south of the village of Brooklyn, in the scenic Irish Hills area of southeastern Michigan. The track is used primarily for NASCAR events. It is sometimes known as a "sister track" to Texas World Speedway, and was used as the basis of Auto Club Speedway. The track is owned by International Speedway Corporation (ISC). Michigan International Speedway is recognized as one of motorsports' premier facilities because of its wide racing surface and high banking (by open-wheel standards; the 18-degree banking is modest by stock car standards). 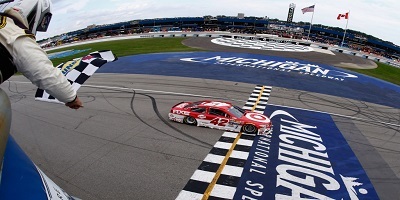 Michigan is the fastest track in NASCAR due to its wide, sweeping corners, long straightaways, and lack of a restrictor plate requirement; typical qualifying speeds are in excess of 200 mph and corner entry speeds are anywhere from 215 to 220 mph after the 2012 repaving of the track. All children are welcome. Free! Up to two children under 10 years stay free of charge when using existing beds. All further older children or adults are charged USD 7 per person per night when using existing beds. One older child or adult is charged USD 7 per night in an extra bed. Free! One child under 2 years stays free of charge in a child's cot/crib. The maximum number of extra beds/children's cots permitted in a room is 1. Any type of extra bed is upon request and needs to be confirmed by management. Supplements are not calculated automatically in the total costs and will have to be paid for separately during your stay. The Motel was within 20 minutes of the event I was attending and easy to find.We chose this motel because it was pet friendly. We have a teacup chihuahua. The first thing the host did was kindness. I would recommend getting a queen size bed instead of this king. The hotel was very nice and quiet. It provided everything we needed and close to the places we needed to go.Clean bed. Working shower and comode. Nice sign by the highway. A friend and I stayed here for the June NASCAR race and we were very happy. The location is nice and quiet, the room was pleasant, and the service was great. 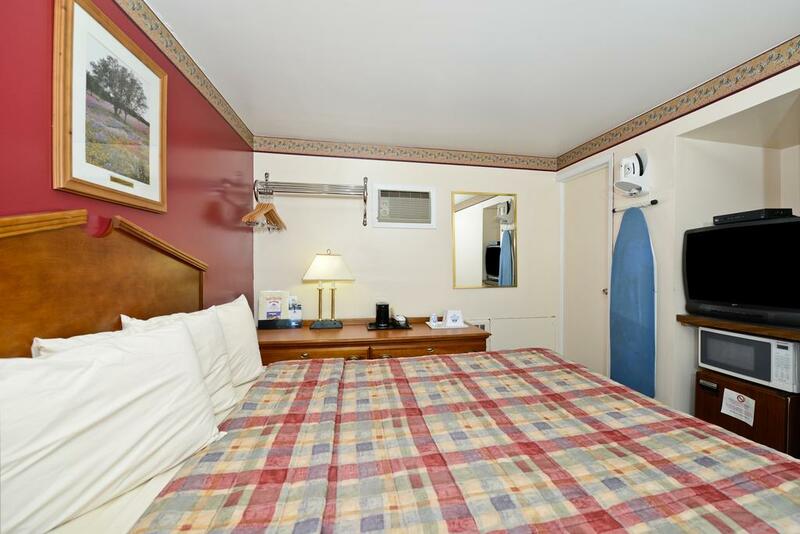 comfortable room .Nice and quiet.. reasonable rates Nice selection of places to eat in the area. Owner gave good directions to where we needed to go. room was clean and comfortable. TV cable(s) was nice. service and amenities were acceptable. Location was convenient for our needs. Very comfy room, great bed, large tv, nice big yard and a play area for kids. Pet Friendly was a huge plus, got to take Max with us. Definately will go back! 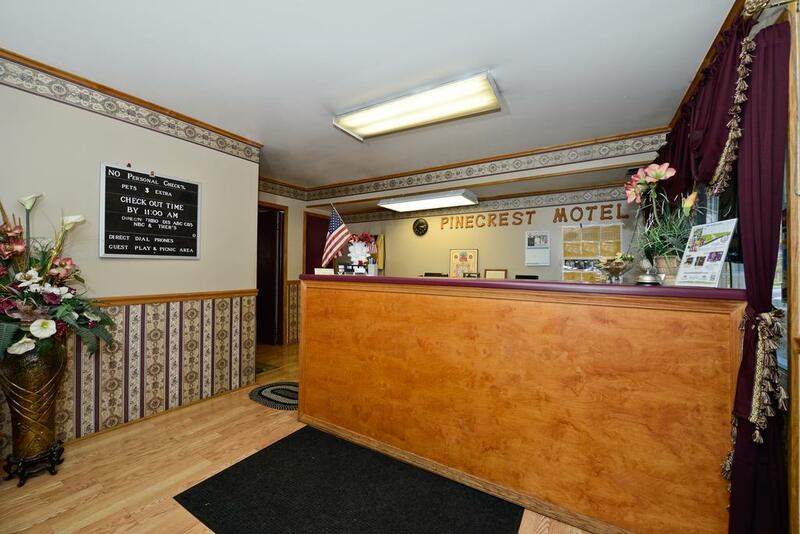 Quaint, clean rooms nice enjoyable and relaxing stay.I travel several times a year. And i always stay here . We went here for parent's weekend at my son's college, the amazing thing is we were in the exact same room as last year. Improvements over last year included an updated TV good size and good picture quality, mini-fridge and microwave, and the addition of a rack for hanging clothes.